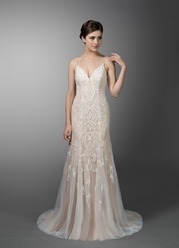 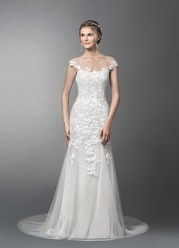 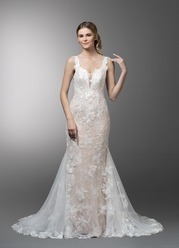 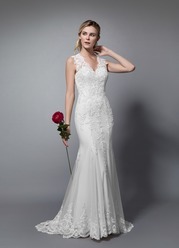 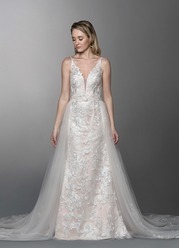 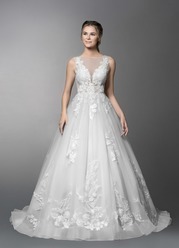 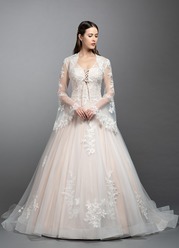 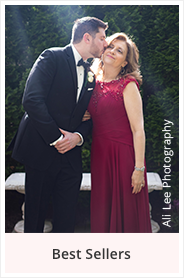 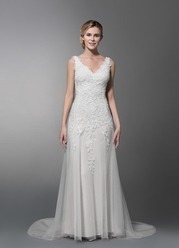 Stevie is a lovely off the shoulder gown with a whimsical tulle skirt and flared sleeves. 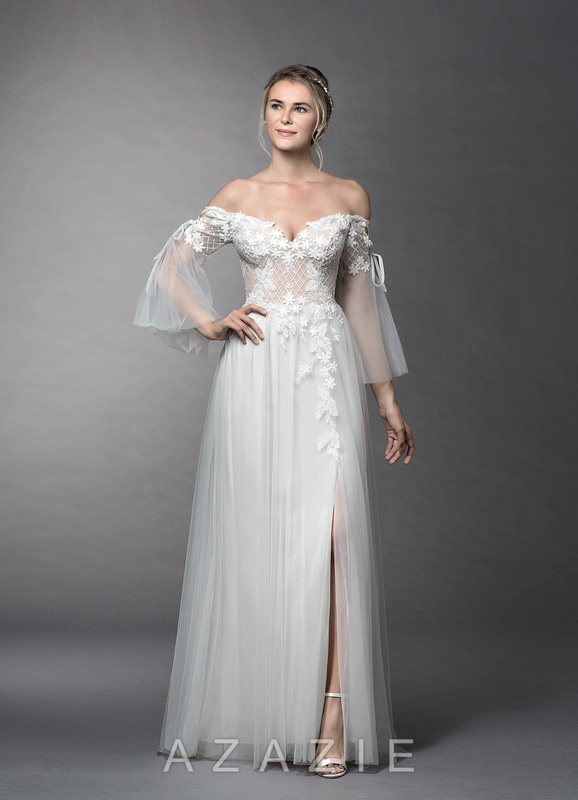 This style features unique embroidery on the bust and sleeves, giving this dress an aquatic vibe. 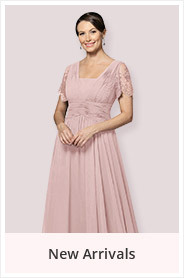 This dress has a side slit and a lace up back which brings a fun element to the style.